In this post we look at the past, present and future of search. For years people have claimed that SEO (Search Engine Optimisation) is dead. They claim that SEO is either irrelevant or conversely that it is your digital marketing’s most important aspect. There are so many SEO consultants out there these days that if you throw a stick in just about any major city in the world you are likely to hit an SEO expert. So what is going on with SEO? Where has it been? Where is it headed? Let’s take a closer look at the issue. In the very beginning, SEO was very similar to an IT job. It mostly revolved around manipulating code and technical best practices. Individuals built mirrored sites, micro sites and multiple sites. From a money making standpoint, we viewed it similar to how technical management budgets are thought of. It was not a commodity, it was more of a luxury. A majority of the work was done by IT guys or off shore staff who were seen as little more than cheap labour to crunch code. It wasn’t ever really factored in as a line item in a budget or as part of marketing decisions. Around 2004-2005, Google wised up to the game, and maybe even a little earlier than that. With black hat techniques (unethical SEO) being penalized and SEO becoming more of a strategic advantage for many organizations, SEO developed into a tool that was used for sales, marketing and branding. That is when it started moving over and becoming part of marketing budgets and when CMOs started really caring about it, even if they still didn’t completely understand its functionality. That is where things started to get really interesting. 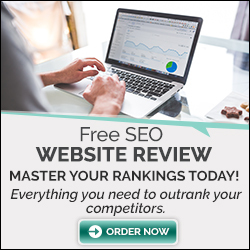 As SEO started becoming increasing relevant to the core strategies of businesses, there was an explosion of both SEO DIY options and SEO experts that emerged. Many different services started to crop up, including KWFinder, WordStream, Keyword Estimator, SEMRush, Moz and many more. What occurred with SEO when it came to the sheer economics of it all was this: due to the fact there are are so many different options and experts that are available, SEO buyers have come to expect low-cost options. This is something we have seen a lot with our work spanning 24 years in the SEO industry. We will meet with somebody who is interested in our SEO services and will explain that in order to do it right it could cost them what we calculate (based on time needed) per month and they may not see any real tangible results for 6 to 7 months in terms of getting good ranks for the keywords that drive traffic to their business. Often this honesty is met with surprise and they may assume that they can either just do the work themselves or find a less expensive option. This is where we are at in the present time. A shift has occurred within SEO, moving to a topic focus rather than the keyword focus of the past. It is currently a saturated market. In AdWords, I have seen “expert SEO service” going for $90 per click in Adwords. This is the price that people are paying simply to get a couple of new leads into their funnels. There were 13 million blog posts by 2012 already that had SEO in their titles. The space is a huge, multi-billion dollar one. It is also true that the 37% of local SEO consultants earned less than $30,000 per year (A little under 10% report that they earn at least $500,000 per year). So you can see, there are a smattering of real experts and a lot of other new or micro businesses that are “trying” SEO. The future of search looks set to be an interesting journey. SEO continues to shift and change, the search engine algorithms become ever smarter and if you read the online forums, everyone is talking about what they think is coming in the next evolution. The thing is, it’s not just one thing. Search engines continually make small changes to their ranking algorithms (the clever software that assesses your site). So it’s still about being on top of those changes and keeping things fresh. Technology or tools might disrupt or overtake the practice of SEO once again, as has happened over the last half-decade in most industries. But – websites are designed for users and we cannot see a time yet, where human interaction is not going to be required in refining sites to make them search engine friendly and really, that’s the heart of what SEO is about. Haych Enterprises believes that a majority of enterprise companies SEO will remain within the marketing departments for the foreseeable future. Is this a predictable future of search marketing? To some degree yes, however, it could end up moving back into IT or perhaps to Operations even. When done right we believe this would result in SEO’s value being better appreciated. In numerous marketing departments, it is merely a ‘thing’ that occurs around different campaigns; it really isn’t integrated nearly well as it should or indeed needs to be. This partially explains why its cost is driven down so low. In marketing that makes sense due to its ties to PR and content, but that could change. Will SEO and the future of search marketing emerge as the new PR? For years, that concept has been kicked around. We really don’t see it happening. People who are in SEO and people who are in PR tend to be quite different breeds when it comes to how they approach the overall business and their work. We honestly can’t see a CMO (Chief Marketing Officer) telling his PR people that they now need to become SEO experts. Aligning PR and SEO more closely could be a very smart business move, however we don’t believe that many companies are really close to being there yet. It’s one of the reasons we offer digital PR as that helps with online visibility but it can run as a separate approach or compliment any traditional PR, it isn’t designed to replace it. In summary: SEO will continue to evolve and change, particularly as mobile is becoming more of a business driver. All of us claim to know this space very well. What we need to do now is commit to changing and growing right along with it. The future of search marketing will remain an interesting focal point for any serious business as this is where 80% of marketing now happens.